A drug usually takes about 10 years to go from development to approval, and there can be many detours along the way—and more twists and turns even after approval. Here are a few drugs for which indications have been revised recently. You may know the story of Viagra (sildenafil), for instance, which was initially investigated for treating hypertension and angina but eventually became a blockbuster drug for treating erectile dysfunction. 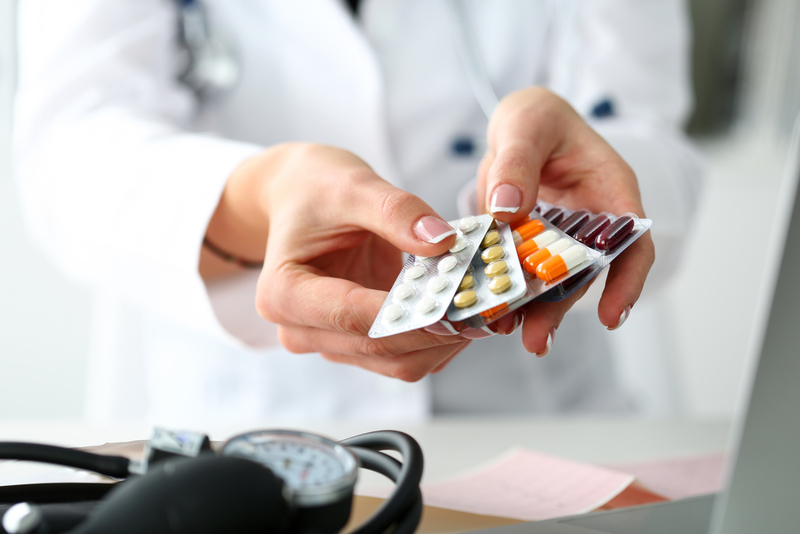 While few drugs have a story like Viagra’s, a number of drugs are approved first for one indication but later approved again for a second (or even third or fourth) treatment. Here are the stories of such drugs that recently got a second (or third, or fourth) indication. Invokana (canagliflozin) was approved in 2013 to improve glycemic control, along with diet and exercise, in adults with type 2 diabetes. In clinical trials, patients treated with Invokana also lost weight and reduced their systolic blood pressure. In 2018, the drug was approved to reduce the risk of major adverse cardiovascular events—including heart attack, stroke, or death due to a cardiovascular cause—in adults with type 2 diabetes who have cardiovascular disease. It’s the first and only oral diabetes treatment approved for this indication. Because cardiovascular disease is the leading cause of death in people with type 2 diabetes, Invokana has been hailed as a game changer. Xeljanz (tofacitinib) was approved in 2012 to treat adults with rheumatoid arthritis who don’t respond well to methotrexate. But in 2018, Xeljanz was approved again—this time to treat adults with moderately to severely active ulcerative colitis. It’s the first oral Janus kinase (JAK) inhibitor approved for chronic use in ulcerative colitis because other FDA-approved treatments for this condition are administered through IV infusion or subcutaneous injection. Adcetris (brentuximab vedotin) was approved in 2011 to treat patients with Hodgkin lymphoma after other treatments fail. In November 2018, the FDA approved Adcetris, in combination with chemotherapy, for adults with certain types of peripheral T-cell lymphoma (PTCL). This was the first FDA approval for the treatment of newly diagnosed PTCL—a rare, fast-growing form of non-Hodgkin lymphoma. The current standard of care for initial treatment of PTCL is multi-agent chemotherapy—a treatment that hasn’t changed much in decades and is often unsuccessful at achieving long-term remissions. Also, in March 2018, the FDA approved Adcetris, in combination with chemotherapy, to treat adults with previously untreated stage III or IV classical Hodgkin lymphoma. According to the FDA, this approval marked a significant improvement over the initial treatments for advanced Hodgkin lymphoma introduced more than 40 years ago. Lynparza (olaparib) capsules were approved in 2014 for adult patients with germline BRCA-mutated advanced ovarian cancer who were previously treated with chemotherapy. But in 2017, the FDA approved Lynparza tablets for the maintenance treatment of adult patients with recurrent epithelial ovarian, fallopian tube, or primary peritoneal cancer responsive to platinum-based chemotherapy. Then, in January 2018, Lynparza tablets were approved for patients with germline BRCA-mutated, HER2-negative metastatic breast cancer treated with chemotherapy in the neoadjuvant, adjuvant, or metastatic setting. This marked the first FDA-approved treatment for patients with this type of breast cancer and the first PARP inhibitor approved to treat breast cancer. Finally, in December 2018, the FDA approved Lynparza for maintenance treatment of adult patients with germline or somatic BRCA-mutated advanced epithelial ovarian, fallopian tube, or primary peritoneal cancer responsive to first-line platinum-based chemotherapy. For both 2018 indications, patients are selected for treatment based on the results of an FDA-approved genetic test, the BRACAnalysis CDx. Avycaz (ceftazidime and avibactam), originally approved in 2015 for the treatment of adults with complicated urinary tract infections (UTIs), was approved again in 2018 for treating adults with hospital-acquired bacterial pneumonia and ventilator-associated bacterial pneumonia (HABP/VABP) caused by a variety of gram-negative microorganisms. As of November 2018, the FDA had accepted a supplemental New Drug Application to expand the drug’s indication to treat UTIs and complicated intra-abdominal infections, in combination with metronidazole, in children 3 months to less than 18 years of age. Mekinist (trametinib) and Tafinlar (dabrafenib) were individually approved in 2013 for the treatment of adults with metastatic melanoma with BRAF V600E or V600K mutations. But in 2017, the FDA approved both drugs, administered in combination, for treating patients with metastatic non-small cell lung cancer (NSCLC) with BRAF V600E mutation. This combination became the first approved treatment for patients with BRAF V600E metastatic NSCLC. The Mekinist/Tafinlar combination was approved once more in 2018—this time for the treatment of patients with unresectable or metastatic anaplastic thyroid cancer with BRAF V600E mutation. According to the FDA, this approval demonstrates that targeting the same molecular pathway in diverse diseases is an effective way to expedite the development of treatments that may help more patients. As with Lynparza, patients are selected for treatment based on the results of an FDA-approved test that detects multiple gene mutations (BRAF, ROS1, and EGFR). Xeomin (incobotulinumtoxinA) injection was approved in 2010 for the treatment of adults with cervical dystonia and blepharospasm who were previously treated with Botox (onabotulinumtoxinA) injection. In 2015, the drug was approved for adult patients with upper limb spasticity. But in 2018, the FDA approved Xeomin once more—this time for the treatment of adult patients with chronic sialorrhea (excessive drooling)—making it the first and only FDA-approved neurotoxin with this indication. Sialorrhea is a common condition among patients with neurological disorders, such as Parkinson’s disease, amyotrophic lateral sclerosis, cerebral palsy, and stroke.